Our Centre provides Advanced Hip and Knee Surgery to pets on the Central Coast. While we do basic desexings for clients, we also perform surgery to the level of Total Hip Replacements. TOTAL HIP REPLACEMENTS are also performed at our centre. CLICK HERE for a VIDEO of our facility and a Total Hip Replacement for HIP Dysplasia that we performed. CRUCIATE LIGAMENT RUPTURE is a common condition in medium to large breed dogs, where the ligament is partially or fully torn causing instability in the knee joint, resulting in pain, lameness and severe arthritis. When this ligament is damaged it often injures the cartilage/meniscus of the stifle as well. Standard Older techniques involve placing a surgical nylon to mimic the ligament on the outside of the joint (De Angelis technique). Later this almost always loosens and the scar tissue holds the joint stable. Many studies have shown the more complex TTA & TPLO surgeries to be superior to these older techniques. Both minimize progression of Osteoarthritis later on in life. Many have the advantage of a faster recovery and return to a better function. But it is much more complicated than that in choosing what is best for each pet & specific x-rays are taken to decide this by our vets, both the TPLO & TTA are two of the best techniques specialists have refined. Both are performed regularly at our hospital by many of our vets. Both TTA & TPLO aim to place the tibial plateau perpendicular to the patella tendon, so neutralizing cranial tibial thrust and the shearing forces in the stifle, so removing the forces & need for a cruciate ligament. The most commonly recommended and performed surgery at the CCVetCentre for cruciate rupture is the TPLO & TTA surgeries. The TTA surgery requires particular cuts in the tibia & insertion of Titanium screws, plates & spacer cages to alter the knee forces. This is completed with a bone graft. Concurrent meniscal damage, fracture or patella luxations can be corrected at the same time. TPLO requires a complete and specific curved cut of the tibia, rotation of the two parts, then a TPLO plate to hold the new location in place. Many factors can contribute to the type of surgery recommended to correct a ruptured cruciate ligament. For your individual pet, reasons our vets may prefer one method over the other can include growth plate closure (age of young pet), a larger tibial plateau angle & torsional defects (toes turning in or out) etc. Our vets will help tailor the options for best recovery for your pet. 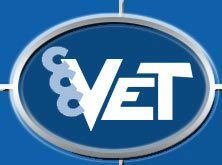 The advanced Orthopaedic Team at the CCVet Centre has experience in dealing with complex fractures.